Blackpool was a dangerous place. Gas, electricity, horse-drawn vehicles, motor vehicles, railways, the sea, construction and disease all contributed to an astonishing level of lethality. When the first railway ran between Preston and Fleetwood, enabling visitors to alight at Poulton and travel to Blackpool and starting Blackpool’s rise as a holiday resort a man from Preston died on his return from Fleetwood. Some of the accidents seem careless by the jaw-droppingly low standards of Victorian health and safety. The Foudroyant was an eighty gun battleship launched in March 1798. She was named after a French Ship captured by the British. She became Napoleon’s flagship and served in the Mediterranean during the Napoleonic wars. The Neapolitan Royal Family and Lady Emma Hamilton, Lord Nelson’s mistress, were visitors aboard the Foudroyant. Lord Nelson is the most revered Naval officer. He died at the Battle of Trafalgar at the scene of a decisive British Naval Victory. His last words were: “Kiss me Hardy,” or possibly “Kismet Hardy.” Kismet, fate, was to link the Foudroyant and Mrs Elizabeth Gates. The Foudroyant had a long career as a training vessel and in 1862 it was sold. There was outrage that it was sold to be broken up by a German shipbreaker. Arthur Conan Doyle, who visited Blackpool later to lecture on his spiritual beliefs wrote a poem in Punch, A wealthy Englishman bought the ship. To offset the cost of repairs it was planned to exhibit it at seaside resorts. 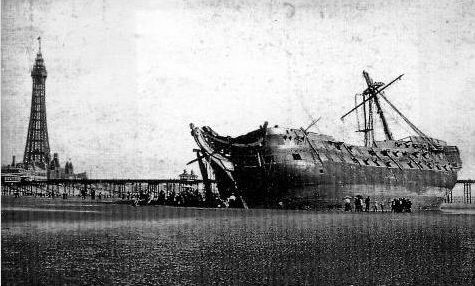 On the 16 June 1897 a storm caused the Foudroyant to smash into the north side of North Pier causing some damage. The crew were all rescued by the lifeboat. It was impossible to refloat the Foudroyant and it was broken up. A warehouse and shop in Talbot Road was dedicated to making souvenirs from the wreck of the Foudroyant. Souvenirs included ashtrays, chairs, tables, souvenir medallions. Nelson had been a Freemason and a Blackpool Freemason donated gavels (gavels are used in masonic ritual) made from the recovered wood to the Barnard Castle branch of the Masons near where Nelson had joined the Brotherhood. Wood panelling from the Foudroyant adorns the boardroom at Bloomfield Road Football Ground. The workmen breaking up the wreck had taken to blowing up the pieces to make them easier to gather up and a appreciative crowd gathered on the beach to enjoy the explosion. The wreck was on the beach North of the Metropole Hotel. Auctioneers and ventriloquists took advantage of the crowds. Workmen had difficulty clearing the crowd when a charge was about to explode. Mrs Elizabeth Gates had boarded an excursion train from Manchester with her son Victor aged 9 on the morning of Wednesday 15 June, 1898. They had visited the pier and were on the beach near the Metropole looking at ships at sea when an explosion dislodged a piece of timber with metal inlay weighing over a hundred pounds. It flew into the air and landed on M killing her instantly. A letter to the paper makes the curious point that Elizabeth was more innocent because she was passing by and had not stopped to watch. Would it been all right if she had stopped to watch and been killed? Think of poor Victor. He had gone for an exciting train journey with his loving mother to the most exciting place in the world and his mother had been killed walking with him on the beach on an August day. At the inquest the man in charge of breaking up the wreckage said that the Council had asked him to speed up the process. The verdict was accidental death. The coroner said shrewdly that explosives should not be used on the beach during the season. 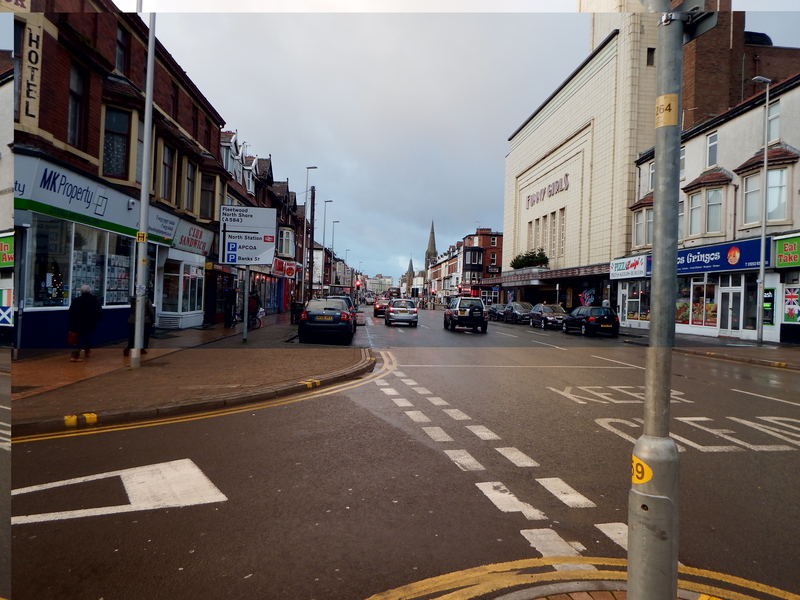 In the same week two local lads were drowned near Uncle Tom’s Cabin, a child was killed by a horse-drawn wagon on Central Drive, and three people, two of them fishermen, were drowned at Fleetwood. Drowning was a frequent event at Blackpool. Many visitors were unfamiliar with the sea and with the tides. 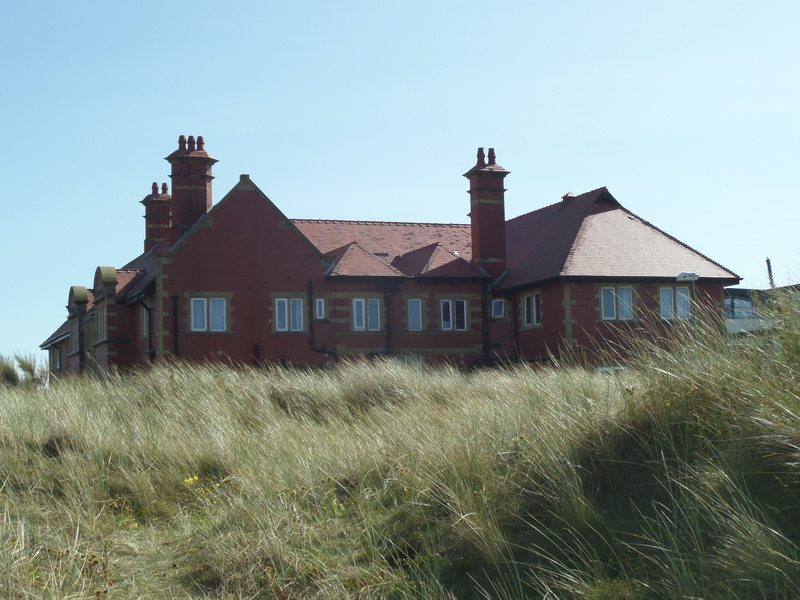 On Wednesday July 9th 1930 six boys were drowned between 11 and 11.30 in the morning north of the Manchester Convalescent home or the New Thursby as it is called now, on Clifton Drive, Saint Annes. 91 boys from St Aidans School, Widnes, had been camping for a week. They had gone to the sea to bathe for the first time and at 11.30 the Headmaster blew his whistle and their was a roll-call. Six lads were missing. In a short time six bodies were found. The lads were aged between 14 and 18. In the vicinity of the mortuary people were disturbed by piercing screams from relatives who had come to identify their loved ones. That area of the beach is usually safe and all but one of the victims were swimmers. The tide had just turned and fast-running water in channels near the shore had swept the boys away. The spot where the accident happened wasvery close to the spot where Kitty Breaks was murdered by Frederick Holt in 1919. St Aidans had a colourful history. It was a Catholic borstal or reformatory with roots in the nineteenth century. It had originally used a former naval ship as part of a nautical training regime. One two occasions the ship had been burned by the residents after which it had been land-based in Widnes. More recently it was involved in child abuse scandals. “Leaving Las Vegas” was a film based on an autobiographical novel by John O’Brien who committed suicide. In the film the central character Ben Sanderson goes to Las Vegas to drink himself to death. He befriends a prostitute, Sera, and they establish a relationship. In the book she is performing masturbation on him when he dies, a challenge the director avoids. Blackpool was the suicide capital of Britain. Many people prefer to commit suicide in a hotel to avoid distress to relatives. The sea is available as a means of self-extinction. Like Las Vegas Blackpool has a reputation for hedonism, somebody might come here to enjoy themselves as a final act. Blackpool’s historic popularity as a favourite honeymoon venue attracts romantic suicides. Before dealing with romantic suicides I cannot resist mentioning the Rector of Stiffkey. Was a name ever better chosen? Sigmund Freud visited Blackpool twice before the First War. The Rector of Stiffkey, Harold Davidson, was defrocked by the Bishop of Norwich for having too close relationships with the prostitutes he was keen on rescuing. Basically this was a stitch-up. He supported agricultural labourers and annoyed the land owning hierarchy. Befriending prostitutes was a late Victorian fad. Prostitutes were to the late Victorians what daffodils were to Wordsworth. Charles Dickens and William Gladstone were enthusiastic prostitute botherers. The Bishop of Norwich probably thought that when the Rector of Stiffkey was defrocked all would return to peace and quiet. One is reminded of the Spanish saying: “How do you make God laugh?” “Tell Him your plans.” The Rector of Stiffkey became the best known Church of England clergyman of the twentieth century, probably of all time. Luke Gannon (another larger than life character… to be looked at another time) paid for him to appear in a barrel on the Golden Mile where cotton workers on holiday paid to look at him. Before they left on Wednesday afternoon Mr Sykes wrote in the visitor’s book:”the honeymoon of heaven.” The next morning. Thursday 8 May, 1919, two bodies were found on sandhills at Harrowside. They were Mr and Mrs Sykes. Mr Sykes had been a corporal in the Tank Corps. He had been gassed and wounded. He was aged thirty-eight. He had a wife and four children. “Mrs Sykes” was a dressmaker from Bournemouth aged twenty-two. Her real name was Malena Florence May Hayter. Mr Sykes’ actual wife testified that he had been a loving family man but had become strange after being wounded in France. The couple each had two bullet wounds and a Webley Service revolver was discovered nearby. Their deaths sum up the experiences of a generation. Ernest Sykes was familiar with weapons and with death. It may have seemed that there was no alternative. They may have chosen death rather than the banality of life. They had used up all their money, only three shillings were found on their bodies. 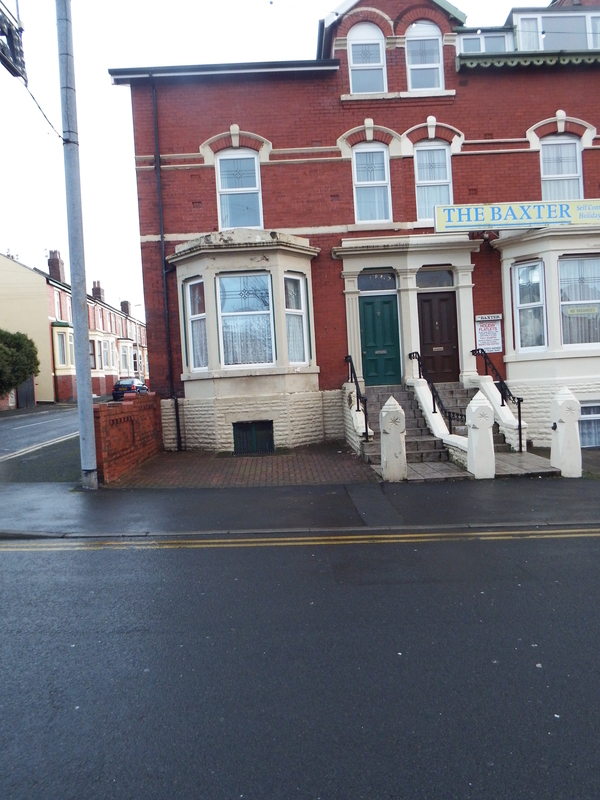 Linda Hill and George Brown stayed at a boarding house in Dickson Road Blackpool on 21 May, 1935. They used the name Mr and Mrs Jones. In the early hours of 24 May a Police Constable heard groans coming from a shelter on the Promenade. He found Linda Hill was fatally stabbed in the heart and George Brown was seriously wounded.